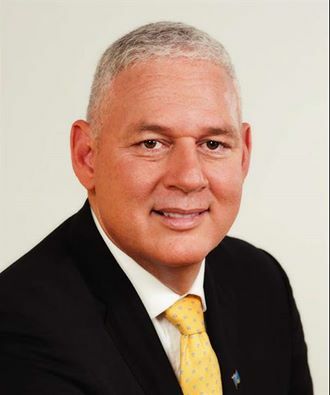 Allen M. Chastanet is a Saint Lucian businessman, politician, and current Prime Minister. He was Minister for Tourism and Civil Aviation and a member of the Saint Lucian Senate from 2006 to 2011. He is a former vice president of marketing and sales for Air Jamaica. He is the managing director of the Coco Palm Hotel. Chastanet unsuccessfully ran for a parliament seat for Soufriere Constituency in the 2011 general election. In 2013, he was elected leader of the opposition United Workers Party (UWP). Allen Chastanet holds a Bachelor of Arts Degree in Economics and Political Science. He also holds a Master of Science Degree in Development Banking. He obtained these from Bishops University in Quebec and American University in Washington D.C. respectively. From 1989 – 1991, Chastanet was Vice President Sales and Marketing, Windjammer Landing, St. Lucia. He opened and launched a new 214 luxury Resort with the responsibility to promote and sell property on a global basis. Managed a US$1 Million budget creating and implementing all marketing activities including setting rates, designing collateral, advertising campaigns, appointing and working closely with PR agencies and sales teams. Managed the distribution system of tour operators, travel agents, 800’s and direct bookings. Additional responsibilities included implementing a sales and marketing strategy for Villa Sales. From 1992 – 1994, Chastanet served as the Director of Tourism for his native St. Lucia where he was credited with bringing the small island into the forefront of the Caribbean’s tourism industry. He developed and managed all marketing and sales strategies to promote and position St. Lucia as the leading tourist destination and established the now world renowned St. Lucia Jazz Festival. From 1994-1995, Chastanet was Director Sales and Marketing Island Outpost. Working directly with Mr. Chris Blackwell, founder of the Island Outpost brand of boutique hotels, Allen Chastanet was also responsible for 11 hotels in Miami’s South Beach, Jamaica and the Caribbean. However his primary responsibility was to select and manage all the PR and marketing agencies in the US, UK, Europe and the Caribbean. He incorporated the Island Records label and entertainment industry with the hospitality sector. Chastanet served as Vice President Sales And Marketing, Worldwide, Air Jamaica from 1995 to 2003. Starting as Director of Sales for North America in 1995, Allen Chastanet was quickly promoted to the position of vice President of Sales, Worldwide and then Vice President of Sales and Marketing, Worldwide leading Air Jamaica’s global marketing and sales strategy. Under his guidance, Air Jamaica achieved unparalleled growth both in leisure and Caribbean Diaspora markets. In addition, he was instrumental in starting the Air Jamaica Jazz and Blues Festival which today attracts record patrons and arrivals and generates strong expenditures, Islands in the Park and Love Birds Kids Program. In 2001 – Allen M Chastanet was named Travel Agent Magazine’s “Caribbean Destination Person of the Year”. In October 2003, Chastanet Was Managing Director, Coco Resorts where he was responsible for the day to day operations and Marketing and Sales efforts of the Caribbean’s newest boutique property in Rodney Bay, St. Lucia. Coco Kreole, a three star hotel provides a quintessential Caribbean experience with all of the modern conveniences for the leisure and business traveler. Coco Kreole won Caribbean Hotel Association’s Crystal Award for ‘Best Small Hotel” 2006. Coco Palm, an 83-roomed property which opened September 2005 with Coco Kreole was the Crystal Award winner of the Caribbean Hotel Association’s ‘Best Small Hotel” award in 2006. From December 2006 to 2011, Chastanet was appointed a government senator and Minister of Tourism and Civil Aviation. Following his appointment as Minister for Tourism & Civil Aviation, Allen M. Chastanet, relinquished his position as Managing Director of Coco Resorts. However, he assumed the Chairmanship of the Caribbean Tourism Organization (CTO). Chastanet unsuccessfully ran for a parliament seat for Soufriere Constituency in the 2011 general election. In 2013, he was elected leader of the opposition United Workers Party (UWP). In the 2016 election, Chastanet successfully led the UWP to a 11:6 victory over the Saint Lucia Labour Party (SLP). He was sworn in as Prime Minister on 7 June 2016. Chastanet is married to Raquel and has two beautiful children, daughter Rhyann and son Braden.